The Book of Me, Written by You is a daily challenge being run from Julie Goucher's blog in association also with Geneabloggers. The challenge will run every Saturday, with one prompt being released, and run for fifteen months: a long-term commitment to yourself, but not a difficult one. The first prompt asks us to ask ourselves twenty times, Who Am I? I took a lazy but fast approach to the first book of me prompt. I happened to be sitting in bed, pondering when to get up (it's our first lie-in for about six weeks, gotta make the most of it). So, I used the vJournal app on my iPad. 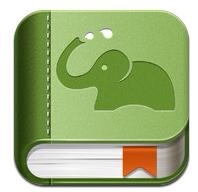 This app doesn't provide much functionality – there is a suite of apps by the same company, targeting the simple note-taking needs of Evernote users. 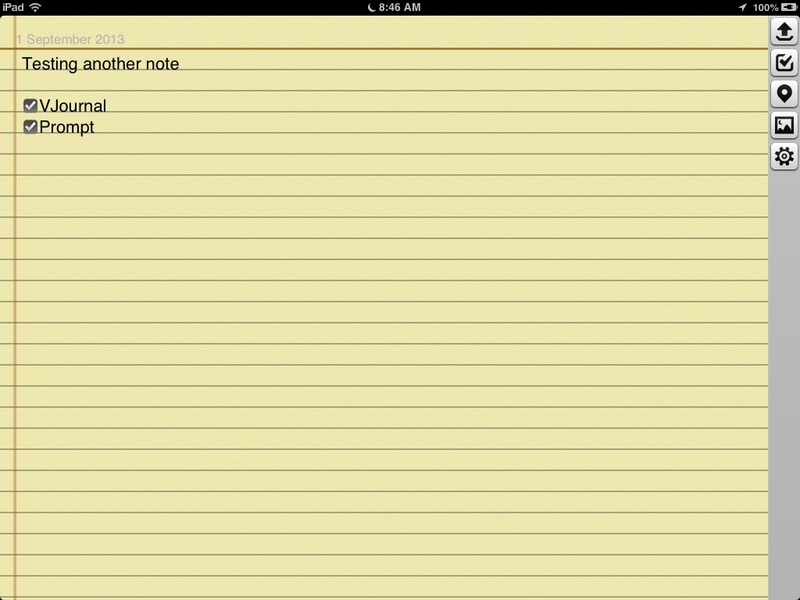 VJournal supplies only one note-taking page. Per day – it automatically inserts the date for you. There is no formatting options for text, only a checkbox, for list-making, and you can attach a photo from your libraby. Settings can have location turned on or off. 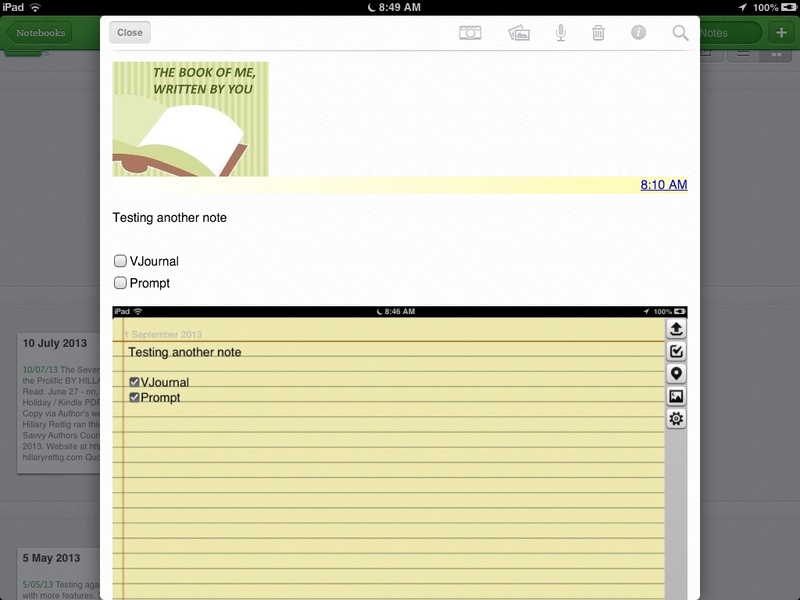 Once the note was written and saved, vJournal automates the send to your Evernote account, and your diary note appears in an Evernote notebook entitled “Journal”. vJournal allows you to add another note – on the same day, and once saved this note will append to the day's note in Evernote with the time on it, useful for a running summary over your day. Currently the vJournal app is free at the apps store.